Where she was going and why she never returned are Miss Bothwell never reveals, but the leave-taking described here may have been on the occasion of her departure for India where she was, for many years, a missionary and history teacher under the auspices of the Methodist Church. Later, Miss Bothwell returned to the United States, settled in New York City, far from her native Nebraska, and found a second vocation writing children’s books. Memory, as Miss Bothwell rightly observed, is a powerful condiment. Certain meals and dishes are seasoned by events and circumstances surrounding them–both the bitter and the sweet. For some, this time-honoured method of slowly cooking green beans with bacon, onion and a little sugar may evoke warm memories of kitchens in their pasts and the loved ones who made good food in them…and enhance the flavour of an already fine, old traditional dish…To everyone who will be celebrating Thanksgiving this week, the diplomatickitchen wishes you a very happy holiday. 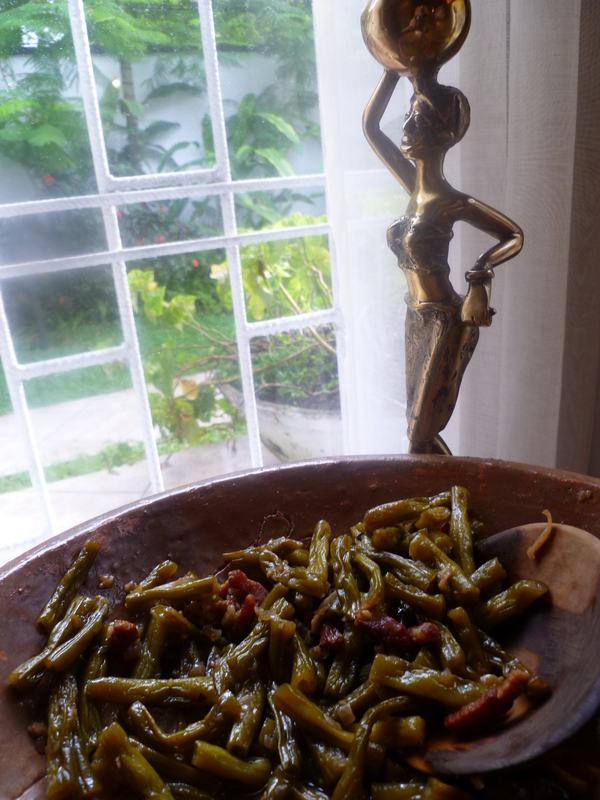 A Timing Note: Braised Green Beans with Bacon may be made a day ahead, cooled, refrigerated and reheated the next day. Their flavour will only improve. 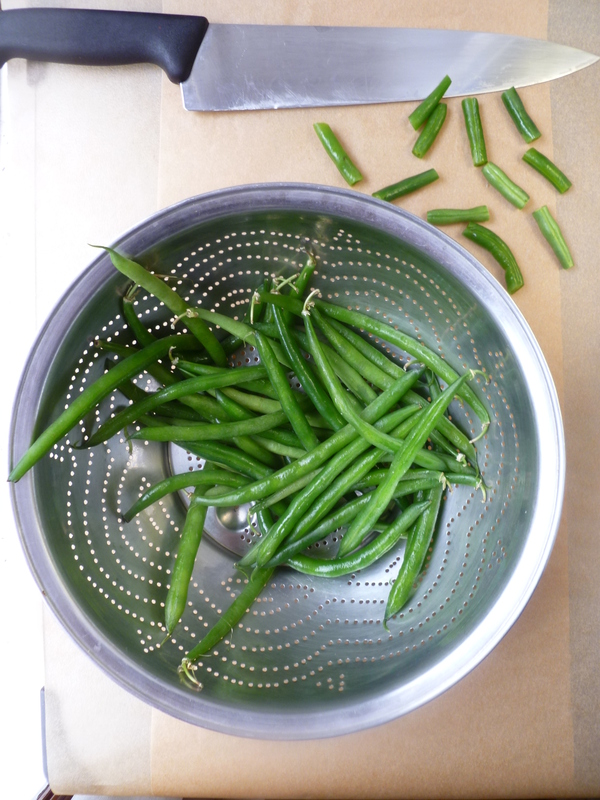 2 pounds of Green Beans: For 4 people, reduce the amount of beans to 1 pound and leave all the rest of the quantities in the recipe the same. 2. 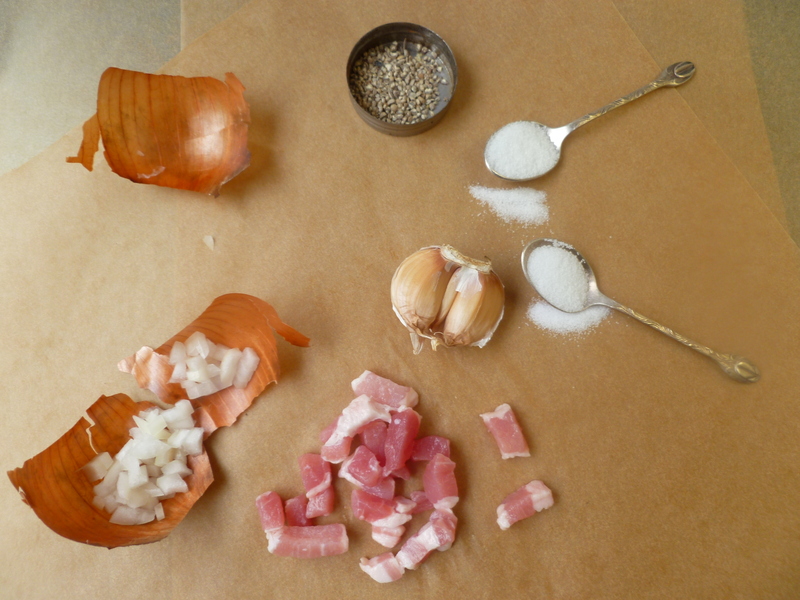 Heat 1 Tablespoon of the olive oil in the pot over medium heat, add the pieces of bacon or the lardons and fry them. When they become golden brown, transfer them to a plate lined with paper towels and set aside. 4. Add the garlic and sauté it, stirring it about, for a minute. 6. Add 1 cup of water or enough just to cover the beans and bring it to a boil over medium heat. Reduce the heat and simmer the beans, partially covered until the beans are very tender and the liquid is reduced to a few spoonfuls of golden ‘liquor’ in the bottom of the pot. 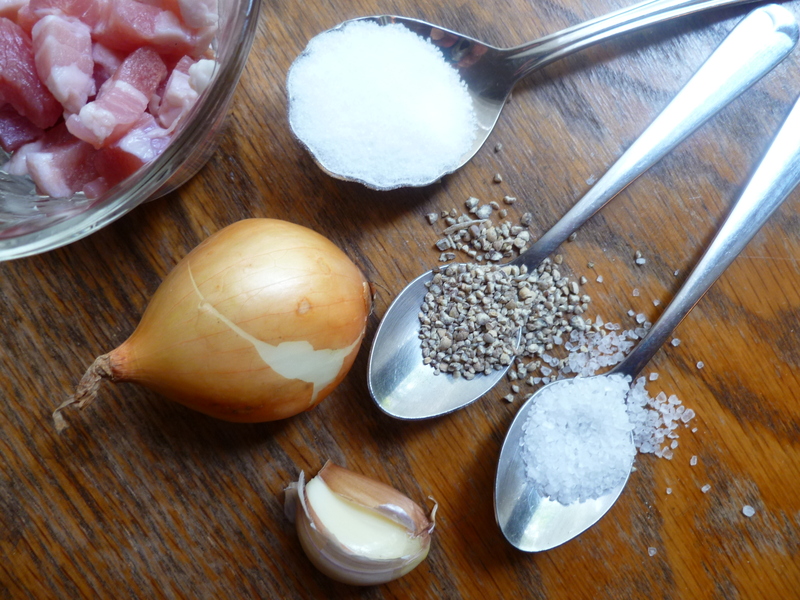 (The beans probably will be done in about 45 minutes – 1 hour.). 7. 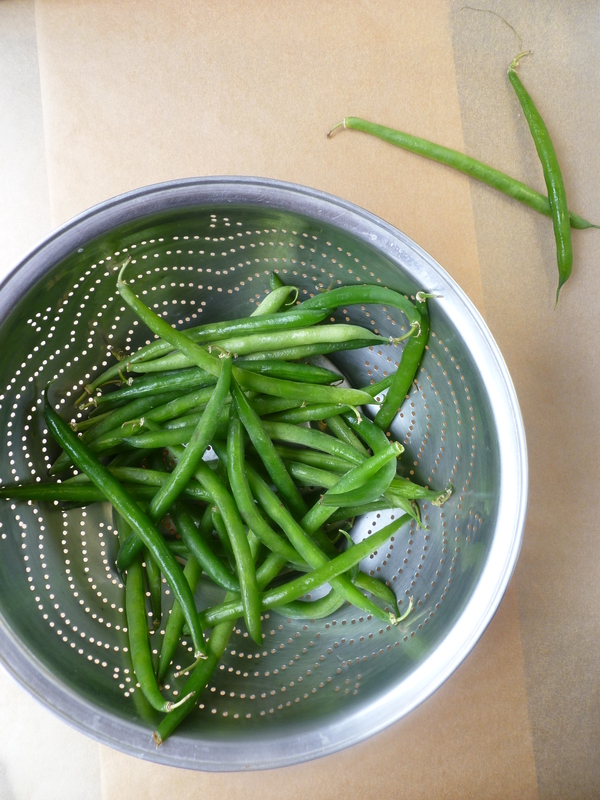 Taste the beans and season them with more salt and pepper if they need it. (Likely they will not.) Divide the beans among the plates, and dribble a tiny bit of the ‘liquor’ at the bottom of the pot onto each serving. 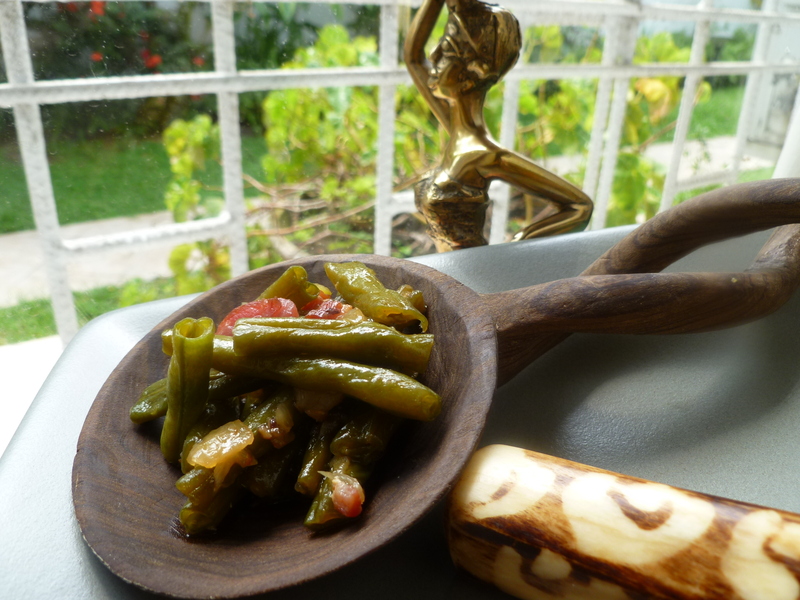 A Note: Braised Green Beans with Bacon is served alongside the Main Course in the Dinner Menu: Magyar Accents ~ a Dinner for Four. Oh those looks so wonderful. 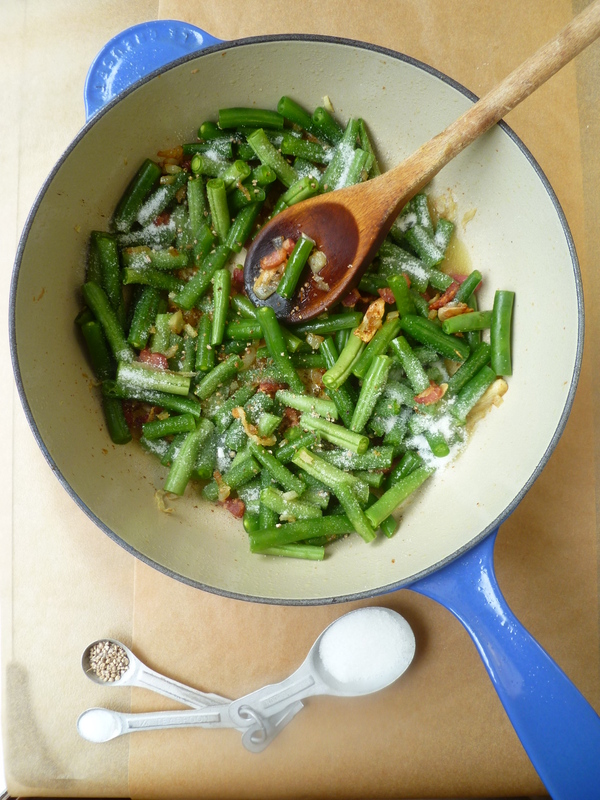 I absolutely love the combo of green beans and bacon! 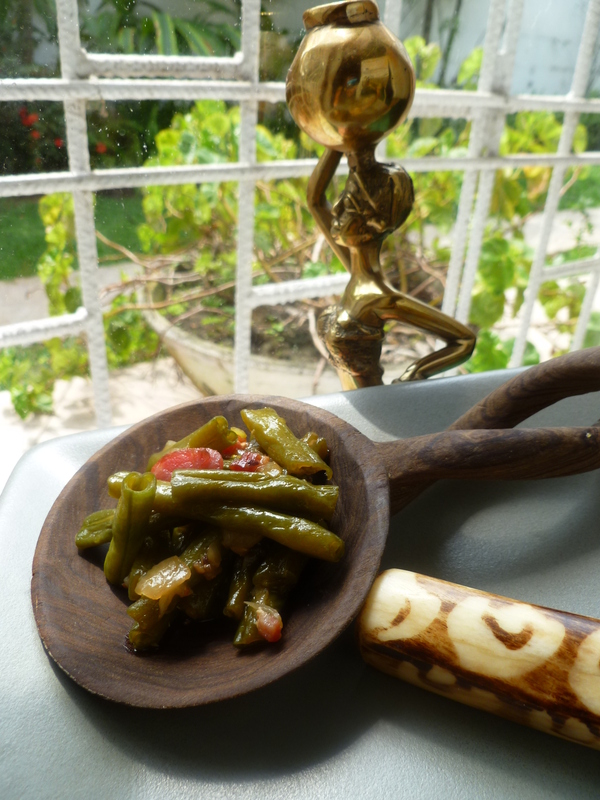 It seems that this week our minds are running along the same pre-Thanksgiving track of…green beans. Your version of Green Bean Casserole looks mighty tasty!